I am looking for a team to play for, what do I do? Looking to play tackle: All of our clubs train together in order to maximize coaching and equipment so its easy to get involved. Looking to play Flag Football: Men, women and children over 16 can all play in our Flag leagues. There is social from August to December and competiton Flag Football from January to March. Simply fill out the form at the bottom of this page and we will get back to you with everything you need to know. 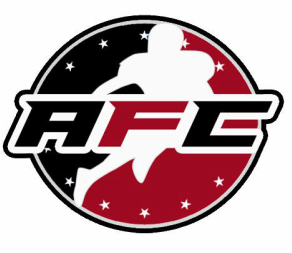 4AFC currently offers Flag Football and Tackle football. Senior Tackle Football - is full contact and played in the summer between August and December, with representative duties taking place January through March. To be eligible as a player you must be male and over 17. However if you do not fall into this category there is opportunities to participate in the program as a coach, manager, film manager, coaches assistant. In addition to this players under 18 can "Red-shirt", which allows them join in limited parts of practice in preparation for playing in the future. Flag Football - Social Flag Football is played September - December (Ages 13 and up) Competitive Football is played January to March. Tackle football is comparable to senior rugby prices and flag is comparable to social touch. The equipment is expensive if you want to buy your own, there is pads, helmets and protective gear that can be loaned from AFC, meaning that you will only need to pay for a mouthguard and boots in order to play. If I play will it interfere with Rugby/League/Soccer? The dates that the season runs have been specifically designed that they will have minimum impact on the other 'football' codes. The season ending prior to the Christmas break means that you will get a break between seasons and can take part in preseason training for the other sports. Simply put, yes. American Football is a complex sport and requires a knowledge of the game before you can play it. Luckily for Cantabrians we play a version (5 and 7 Aside) of the game that is specifically designed to not only provide an exciting spectacle, but also teach the fundamentals of the game. Through trainings, film and whiteboard sessions new players will be able to brought up to speed quickly. Sadly playing Madden will not give you the understanding of the game you need, so if you do want to play you will need to be committed to the game or you will fall behind.